“My favorite superhero is Batman! My favorite superhero is Superman! Everyone knows Superman would beat Batman in a fight!” A typical conversation of many young boys in elementary school, well at least when I was a kid. I knew who my favorite superhero/hero was before these conversations occurred. I was always down for Flash or the Green Lantern for the sake of the conversation. However, the truth was my hero was always my Dad. Pops personality has always been a mixture of assertiveness with a sense of being calm and collective all the while. I don’t know if I even have a handful of times where he yelled at me, because he never needed to. His voice alone would straighten me out from whatever wrongdoing I had done. Growing up, my dad was the hardest working person I know and to this day I still have the same sentiments. After all, looking back it’s phenomenal to see how a young man from Barbados can come from nothing and climb the ladder of success. You started off as a waiter/busboy and now have worked your way up to being a general manager of a luxurious resort. The best part of it for me was seeing how your determination was never broken by any setbacks. You never complained, you never let me see when we were struggling, and you made sure I had a great childhood. You started on the ground floor, and even though you’ve reached your dream you still keep going. People wonder how I’m so ambitious and passionate it’s because of my Dad. 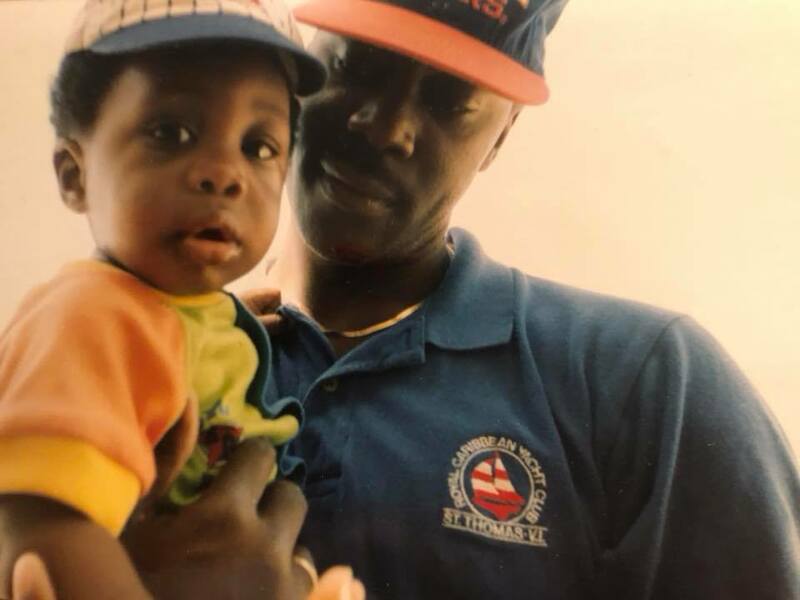 I’ve never known someone to embody those things quite like Karl Bourne Sr. Part of being a man is making the difficult decisions and sacrificing for your family. You did this time and time again, in order to ensure your family was taken care of. Everything I am is because of everything you are and everything you’ve done. I could write a book on everything you endured, and how yet, you still rose above everything to become successful. You taught me too much to even name them all. One of the most important things was that I could be and have whatever I wanted with determination and hard work. So, if the conversation ever arose again. “Who is your favorite superhero?” I could say my dad undoubtedly. It’s just a testament that contrary to popular belief, not all heroes wear capes.